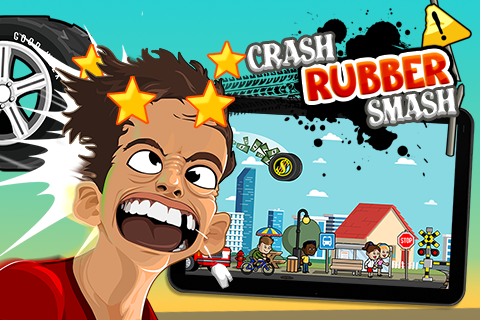 Crash Rubber Smash is an ultra funny hyper casual game that will challenge you to go the distance and dominate the leader boards. Contrary to all the other casual / high score games out there, you will not run, fly, swim or slide … but cause the most casualties and as much destruction as possible! You can unlock several cool and funny mag wheels through achievements that have their own custom rage mode effects! Some have a trailing fire, shotgun shells, money bills and even sausages! Crash Rubber Smash has 4 seasons; Spring, Summer, Autumn and Winter, in a progressive difficulty . You will also avoid several obstacles on your run, such as pot holes and highway signs. There’s also a flying television to destroy to get an extra reward and special characters in each season that will unlock special achievements. Smash heads, destroy vehicles, fly over obstacles, go as far as you can to beat your high score and rise in the top leaderboard charts. And if you come back and play every day you’ll get an extra reward and daily gift. From the creators of Stick Squad comes a new awesome stick shooter adventure game! Follow the dark story of a lone henchman Lance, who gets caught up in a twisted scenario, forcing him to go rogue with Ophelia, daughter to the biggest crime lord in the city. 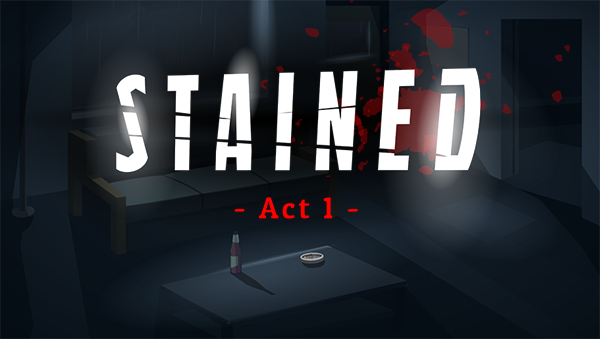 An intense adventure game featuring action shooting scenes, point & click situations and mind bending puzzles. Broworld – Bachelor’s Paradise is a funny simulation adventure game, with a simple quest; get big muscles, get swag and get with the ladies! You can customize your crib, your clothes, your tan and obviously beef your muscles. You can even get that nice orange tan! The game is highly monetized, with tons of items to buy with in-game currency and a gold system to unlock faster shipping of your items. Hours of game play value, in-apps and rewarded ad revenues. Our story continues with our 4 recurring characters, Ron, Walker, Chesa and Jack, in a new adventure. You will also be able to buy awesome swag for each character and buy optional intel to help you on your missions. The game has over 20 main objectives with several side missions and achievements to complete and master. The game has your classic sniper missions, where you must eliminate your targets and calibrate your gun to compensate for wind and distance. There’s a shooting range to practice your shooting skills and fast-paced action assault missions, where your reaction time is what counts! Our 4 rogue buddies are back and this time it’s REVENGE! In this sequel the boys will face a new menace in a hostile environment. More action, more gun fights and more mayhem! The game features improved game play mechanics, better visual graphics and new min-bending puzzles. Coming out on Android and iOS devices later this summer. A dark zombie adventure shooter game. Throughout the game you will find blueprints that will unlock crafting skills. As you progress in the game these skills will be crucial to your survival. There’s also optional letters you can find in the game that will give you insight on the infection and explain the potential cause. There’s also Safe Houses to secure by escorting survivors, including a Fast Travel mode. Within these Safe Houses you will be able to access the optional shop, where you can buy and sell items and weapons. Finger VS Axes is a funny action game where you are the big boss. Use your finger to taunt the enemy. Swipe to evade & avoid its attacks. Bash and smash it on rocks when it’s time! A fun arcade game featuring awesome weapon upgrades like a ball & chain, a machine gun turret, and a resistance shield. Play in multiple worlds and levels, with a progression difficulty. A small, fun and original game made to be interactive and entertaining. Enjoy! A funny action game where you must control your powerful rocket missile and take out the bad enemy targets. Try to use your rockets wisely and collect as much meat as you can in this casual puzzle action game. Try to complete all levels and get 3 stars in each. And if you need any help, you can buy optional items such as Slow Motion Potions, Extra Fuel, Missile Power Ups, Blast Grenades and more. Birds stole your burger, so now what are you going to do about it? It’s time for a brutal revenge! Swing from bird to bird and try to find your burger. A funny and addicting game of high scores and tapping fun! Tap anywhere on the screen to swing to the next bird, while avoiding the nasty crows. Swing and jump quickly to accumulate combo points and watch out for the dirty sick birds that are fragile. After collecting several coins you’ll be able to buy new characters and special in-game power ups. Get ready … the sky is the limit! In Newspaper Boy Saga you need to toss newspapers filled with dynamite into houses and windows to cause explosive fun. Get all the windows and create combos, collect coins or avoid the obstacles. Several game styles to play and over 100 objectives to complete. You can then use your accumulated coins to upgrade your bike or obtain special items to use in the game. A funny petanque or bocce sport championship game, with several colorful characters.